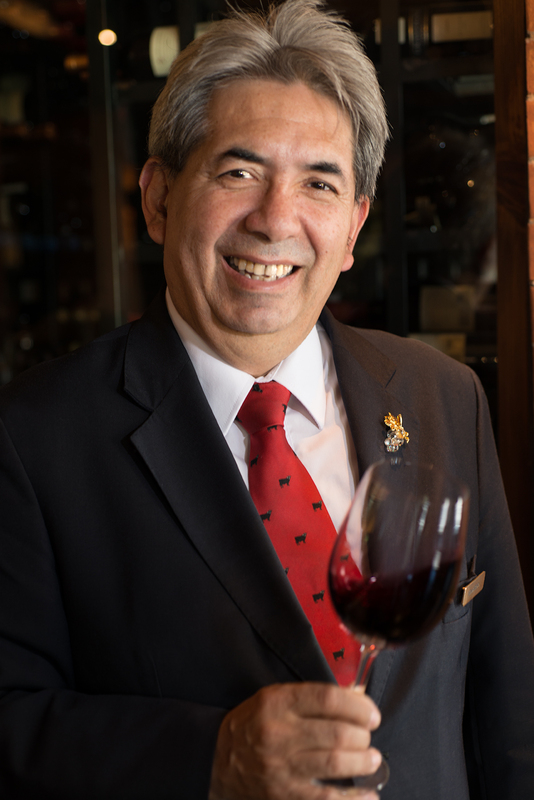 Starting out in 1996 as a baker then pastry chef at Cabaña Las Lilas restaurant, Celestino Rodríguez was one of EAS’ first sommelier graduates in 2000. Working his way up to become head sommelier at the prestigious Puerto Madero steakhouse, he recalls drinking Etchart Privado with his dad as a five year old. When it comes to pairing, I have to have a few tips at hand that are important to me.. The diner’s habits and tastes, and fundamentally origin, because the adjectives I use are always the same – smooth, soft, powerful, has a good body – but it’s not the same for a Brazilian, a German or someone from France. Their gender, the time of day and the table composition (without men or women), age, whether they are working or on holiday is also important. Origin is radical. That night, an Italian man accompanied by a Brazilian gentleman wanted ‘a red wine with character’, according to the Italian! The Brazilian gentleman said, ‘but I always drink beer!’ I recommended Durigutti Familia 2009, almost all Malbec with Cabernet Sauvignon and Cabernet Franc details. At another table, they had ordered confit suckling pig, red tuna and a medium-rare rib. Two Colombian couples with low wine consumption, so I thought a Bressia Profundo 2011 50% Malbec, 30% Cabernet Sauvignon, 10% Merlot and 10% Syrah, lots of red fruit, an elegant mouth and a long, harmonious and balanced finish. At lunchtime, another challenge was two Mexicans used to drinking wine with a Japanese lady who matched them glass for glass. They shared beef with creamed spinach and Provencal mushrooms (with garlic and parsley) so I recommended Angélica Zapata Cabernet Franc, from a select vineyard. Complex, elegant volume in the mouth, long and persistent, because of its spice, its ageing, it accompanies you (and in this case, the lady need to be satisfied). One Mr. Federico Benegas and his family visited us and he invited me to first share the Benegas Estate Sangiovese 2001, then the Benegas Lynch Cabernet Franc 2006. I carefully decanted them both then passed them through the wine aerator four times to really oxygenate them and break up the sleepy molecules in the bottles, trying, in the short term, to wake up their qualities. As an Argentine sommelier, 98 percent of my most beloved regions are in Argentina. I’d highlight Salta and its Etchart Privado Torrontés because my father started serving it to me when I was five; I love Alto Agrelo in Mendoza, because its wines bring the terroir, climate, a sus particular expression. And abroad, the reds from Spain’s Duero region get on well with me thanks to my surname Rodríguez. My respect and reverence also go to France and Italy, and it looks good if there’s an admiring mention. My work is to serve and identify myself as as Confucius said: “Choose a job that you like and you’ll never have to work a single day of your life.” Among my functions, seduction, a warm welcome, spoil the client and also sommellerie. I love seeing when a client is happy with my work. I haven’t got very much because I’ve drunk almost everything, but I’ve jealously guarded one that we used to enjoy drinking with dad: Felipe Rutini 1997. What’s the best thing that ever happened to you as a sommelier? My relationship is work, pleasure, profession… service is part of my family;s gene pool and sommellerie one notch up on the service ladder. When I made bread I was the baker, when I made desserts I was the pastry chef, now as sommelier I am Celestino. It gave me a name and that stimulates me: I like the fact that people call me by my name. Without doubt, I’d be a D’Artagnan blend: Cabernet Sauvignon base because I need spine and a long life; Malbec for a seductive fragrance; Merlot because I need shine and for certain notes to stand out; and 2 percent Petit Verdot because I like shirts with cufflinks.